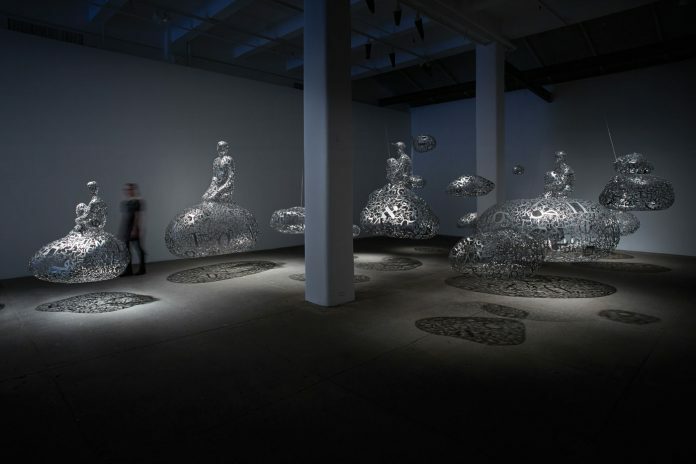 “Talking Continents”–massive sculptures by the internationally renowned artist Jaume Plensa will soon make their way to Telfair Museums’ Jepson Center in Savannah, Georgia. Talking Continents will be on view from March 1 to June 9, 2019 at Telfair Museums’ Jepson Center in Savannah, Georgia. 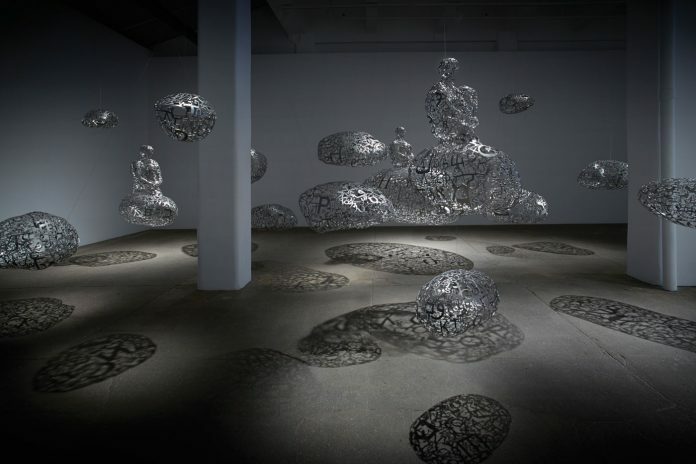 The exhibition includes 19 stainless-steel orbs, each composed of die-cut letters and symbols from nine languages, which suspend from the ceiling to form biomorphic clouds. 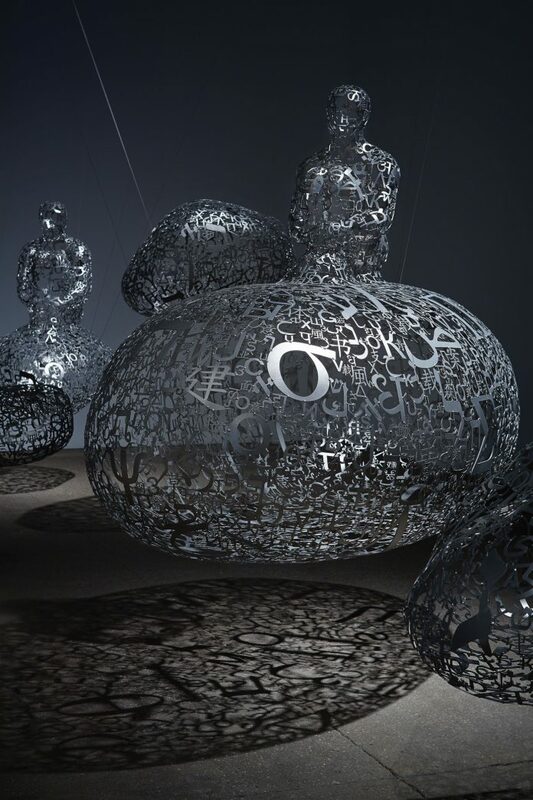 The letters are arranged in nonsensical order, referring to the breakdown of cross-cultural communication, and the physical separation between sculptures implies the disconnection that ensues. Read more below. This exhibition disrupts the traditional museum experience and is not for the passive onlooker. Instead of nonchalantly browsing a room decorated with two-dimensional works neatly contained within frames, visitors are forced to navigate around the immense suspended orbs that immediately confront them upon entry. It’s an experience with a meditative quality – think a modern Stonehenge. As a contemporary source for all things design, you must hear about new installations all of the time, but Talking Continents is entirely unique. It takes an esteemed Spanish artist whose work has been everywhere from Chicago to Hong Kong, copious amounts of stainless steel, and symbols from nine languages and combines them all at a mid-sized art museum (designed by Moshe Safdie!) in the South. 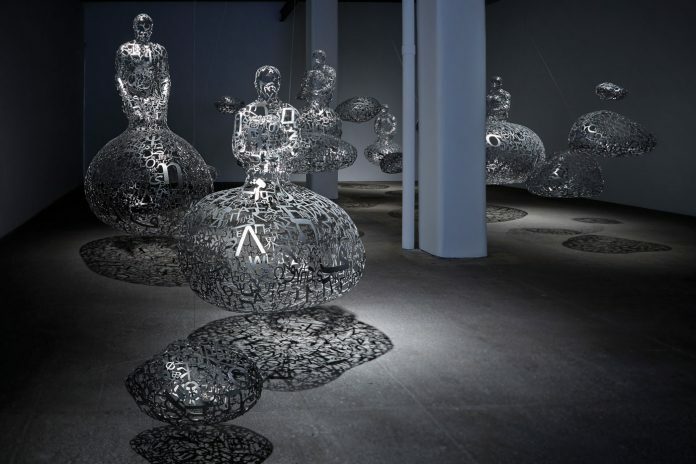 The post Sculptures by Jaume Plensa at Telfair Museums’ Jepson Center appeared first on WE AND THE COLOR.